Every shop is different………. - TI Accountancy Ltd. 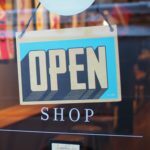 If you’re an independent retailer in the UK, we can provide you with shop insurance provision tailored to your needs. Making sure you are correctly covered is a very sensible thing to do as saving money now could cost you thousands if you’re mis-insured. So what cover should your shop insurance provision have? You’ll be covered for public and products liability and contents; other covers can be added depending on what you need. Shop insurance policies should come complete with public and products liability cover. In retail, public liability insurance covers you if someone is injured by your products or while visiting your shop or workplace. If you have employees or casual Saturday staff, having Employers’ Liability is a legal requirement which also comes included in a shop policy. Contents insurance is another core cover. This protects your stock if it is stolen or damaged, for example due to a fire on your premises. Many insurers will also automatically increase stock levels at seasonal times of the year, such as Christmas or Easter, so you don’t need to worry about exceeding normal stock sums insured. If you would like us to provide you with a quotation for your shop, please get in touch.